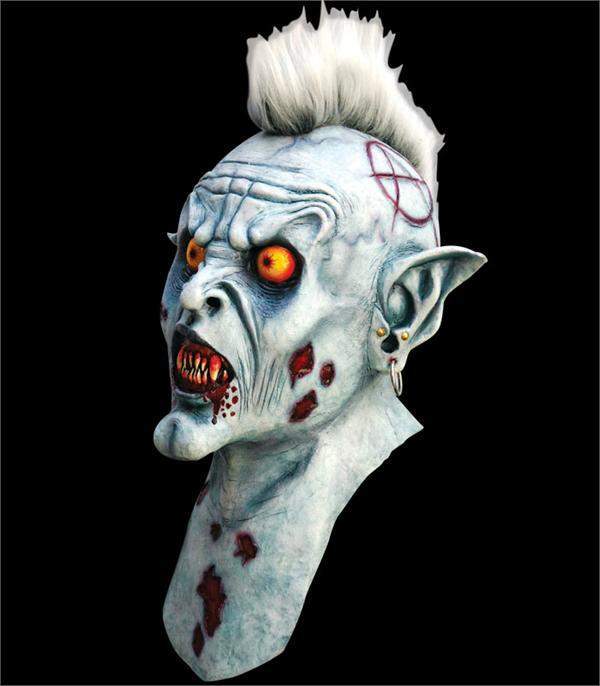 Varcolak appears to be a demonic vampire, with his pointed ears and teeth and evil symbol carved into his head. Deluxe full over the head latex mask that covers the neck as well. The eyes on this mask are just amazing!